About a year and a half ago, I bought my first maxi dress and my collection is growing slowly. 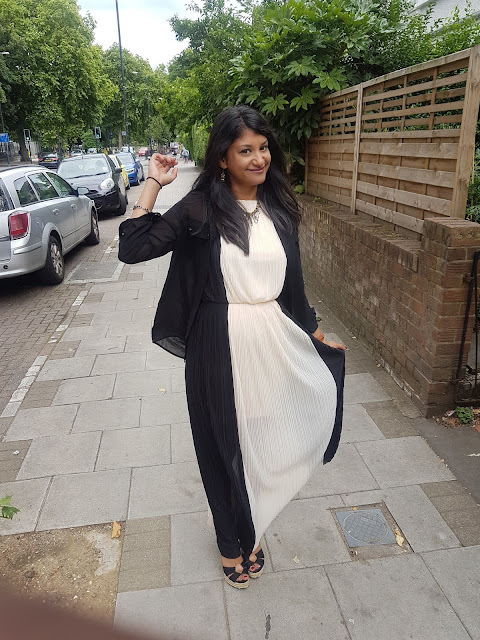 While I still prefer my dresses a bit short of the knee, I love switching to maxi dresses for a more formal event or for when I need to dress more modestly. I find that they can be more elegant and really fun to wear. I wore the dress to a bbq hosted by a friend of mine and it was the prefect dress for the event. 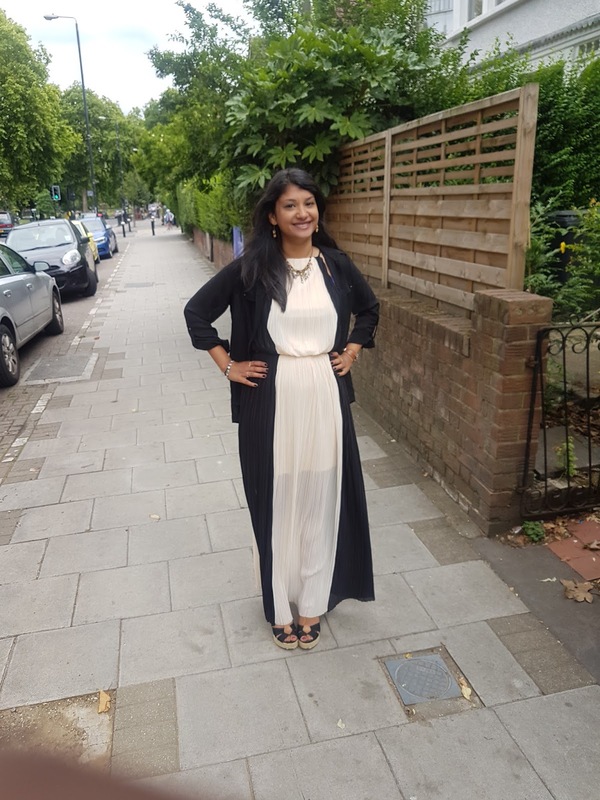 I love maxi dresses for outdoor parties - normally I like something a little shorter, too, but when you don't know what type of furniture you'll have to sit on, sometimes that extra bit of fabric is a real blessing! I love this black and white dress on you, it's really lovely and elegant but looks so comfortable, too. 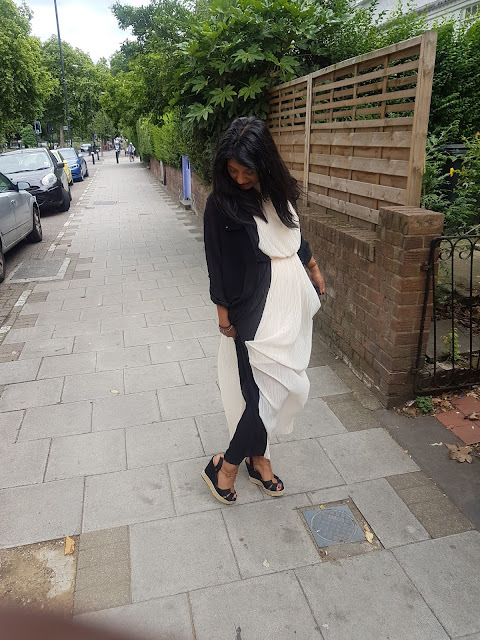 Maxis are ideal for so many occasions and incredibly versatile so I can see why you are building quite a collection now. I love them! You look great Sherin. So pretty, darling! Love the bold black and white!